We rely on you - it's only fair you can rely on us! We have been serving the Christmas and general greetings card market for over 30 years! You will see from our many glowing testimonials, we have earned our trusted reputation - speed, professionalism and reliability are the core of our ethos. Order today and receive cards in 4 days! Check out the printing services on our Personalised Christmas Cards to see what we can do for your business. Your cards reflect many things about a your organisation and our exclusive contemporary over-printed cards are the ideal means to promote your company this Christmas. A corporate Christmas Card, though simple, is a solid relationship marketing tool. Every business, corporate or otherwise, knows that it costs four times more to attract a new customer than to keep an existing one - and with CCC you can subtly acknowledge your appreciation of their business. Many of our corporate cards are non-religious, meaning they are acceptable to any client base. We also have designs based on teams, teamwork and other business themes, suitable for a variety of industries from law and finance to consultancy. We now have an extensive catalogue of highly satisfied clients from small & medium businesses, to leading global corporations and household brands. We also offer low cost Corporate Mailing for those that require a turnkey print and delivery service. 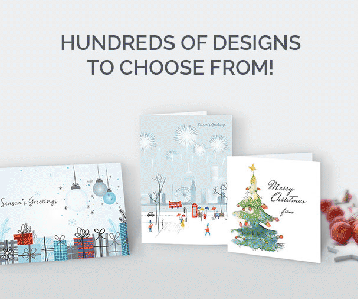 So click View Christmas Cards now to request your samples. For large businesses that would like their own bespoke card designed, please phone 0800 0430 192 to discuss.